Recently I was reading (and still re-reading) the book, The Power of Kabbalah by Yehuda Berg, who comes from a lineage of prominent Kabbalist masters of their generation. Kabbalah or Qabbalah which literally mean "receiving" is a discipline and school of thought concerned with the mystical aspect of Rabbinic Judaism. It is a set of esoteric teachings meant to explain the relationship between an eternal and mysterious Creator and the mortal and finite universe (His creation). 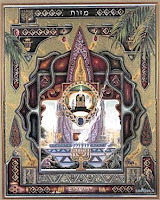 According to Hebrew tradition, the first set of teachings on Kabbalah, called the Book of Foundation (also called Book of Creation, Sefer Yetzira) was transmitted as oral tradition more than 4000 years ago by Abraham, the Messenger of God and the Representative Father of Unity Consciousness (Tawhid). In its written form the teachings of the Book of Creation may have been first scribed about 2,000 years ago by famous Rabbi Akiba. Down the history many brilliant souls and mind contributed to the wisdom, including Moses the Messenger of God, Pythagoras, Plato, Raabi Joshua (Jesus) ben Joseph. Some religious scholars believe that Jesus learned the Kabbalistic technique of ritual immersion in water and Kabbalistic meditation from Yahyah the Immerser (John the Baptist). In the Gospels of Thomas Jesus' secret teachings given to only to his close disciples, he teaches Kabbalistic principals about the Light being the origin of all humanity and each person is a spark of the Divine. Kabbalists believe that it was through the wisdom of this ancient path that Jesus performed acts of healing and other wonders. 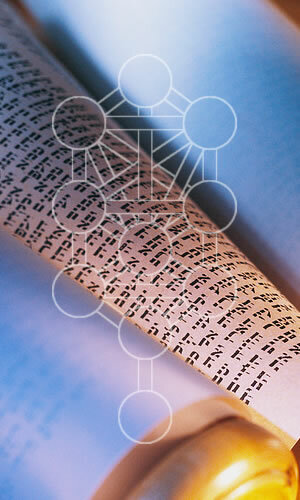 The Zohar (Literally means Splendor or Radiance) is the major text of Kabbalah. The Zohar contains a discussion of the nature of God, the origin and structure of the universe, the nature of souls, redemption, the relationship of Ego to Darkness and "true self" to "The Light of God," and the relationship between the "universal energy" and man. Kabbalah is not a denomination in and of itself; it is a set of scriptures that exist outside the traditional Jewish Scriptures. Kabbalah seeks to define the nature of the universe and the human being, the nature and purpose of existence, and various other ontological questions. 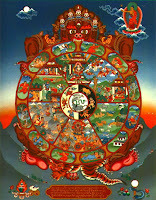 It also presents methods to aid understanding of these concepts and to thereby attain spiritual realization. 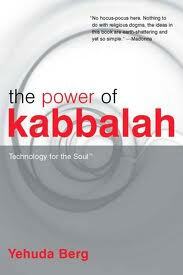 The book The Power of Kabbalah is a simplified and feather-light version of this sophisticated branch of mystical knowledge. Those who are already familiar with Kabbalist wisdom and those who prefer tradition over adopted-modernization, the book may read as overly simplistic or new age styled. Nevertheless the book is a good opener for new comers into mystical literature. Although the Kabbalah has its roots in Jewish mysticism, this books is written as a non-dogmatic manual applicable to all spiritual seekers. I particularly enjoyed the book very much as I could relate a lot of materials with Sufi wisdom teachings and in seeing the universality of spiritual foundational knowledge. As I was reading different chapters, affirmation from the Quran which confirms them were flashing in my mind, as if I was reading a commentary of what is revealed in the Final Testament as well. Any mystical text thus reminds us the underlying unity of truth spanning across all of humanity in different form and name. The book offer a number of valuable insight into the reality "of how things are" and try to provide glimpses of the spiritual laws behind that which is apparent. It sheds light on "Desire and Diversity", "Two sides of the Curtain: 1 Percent vs. the 99 Percent", "Human being as Vessel to receive Light", "Resistance", "Theory of Reactivity", "The Certainty Principle", "The Path of Most Resistance", "Time and Space as Weapon" etc. There were two or three particular themes which I think this book was very successful in communicating in the language and style it did. To me these useful subject which are part of our reality and its important to understand how it works are: "The Opponent", "Resistance", "Tricks of Time and Role of Time." Because of our projection prone mind and heavily intellectual tendency the subject matter we often evade in our modern discourse of spirituality and religious teachings about Evil. In this book Yehuda Berg brought ancient wisdom teachings of Kabbalah on the subject of Evil, Shaytan or Satan in quite a remarkable way which I am sharing in this post.The spiritual dimension of Time and Why Time Exists are to do with the mechanism of veiling the Light. Thus the Mysterious role of Time is also connected with the concept of Evil Darkness. Two thousand years ago, the Zohar revealed the Opponent. The Zohar even identified the various techniques, weapons, and strategies he uses. He (or more appropriately It) is the unseen causes of chaos in the physical world and in the human spirit. Throughout history, religions, philosophers, and poets have given names to the Opponent, including Lucifer, Beelzebub, the Evil Inclination, the Dark Side, Darth Vader, the Dark Lord, the Beast etc. Whatever you choose to call it, the ancient Kabbalists said the Opponent was real. Although you can not see this Opponent with your eyes, he is as real as the invisible atoms in the air and as ubiquitous and influential as the unseen force of gravity. His name as revealed by the ancient sages of Kabbalah as translated in English is “the Satan” (in Aramaic there is an accent to the second syllable, suh-tahn). .. The Opponent does such a good job of hiding himself that we have forgotten and lost touch with our true selves – our souls. Instead, we are governed and ruled by the whims of ego, and the whole time we never realize we are being beaten and played by the Opponent. The Opponent has fooled us into believing that we are victims of outside forces and other people’s actions. He has convinced us that our enemy is some other person instead of our own reactive nature. All the while, he hides in the shadows of our minds, lurking in the dark recesses of our beings so we never know he exists. He inflates our egos so we think we’re brilliant and in control of our lives. All the doubts we have about his existence are his doing. Most important, he blinds us to our own godly nature so that we don’t even recognize our purpose in life. Think about it. How many people do we really know who look inward each day, trying to uproot their negative reactive traits? Yes that is the true purpose of our existence. Humanity has now imbued with a Desire to Receive for the self alone. The additional “selfish gene” comes from the Opponent. The Desire to Receive for the Self Alone leaves not a scrap or morsel for anyone else. Like a black hole in deep space, this desire consumes everything within its vicinity so that even spiritual Light itself cannot escape its power. … our Opponent has some cutting-edge strategies and some state-of-the-art weaponry at his disposal. Kabbalah teaches that, more often than not, the final outcome of any life process will be the exact opposite of the first impression. 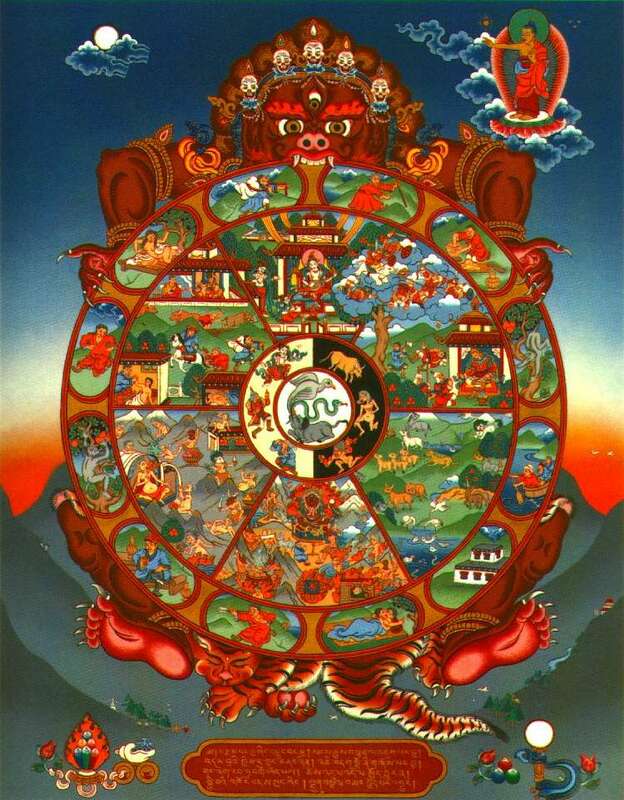 Our Opponent tries to reverse this spiritual truth by inciting reactions to the present moment. He limits our ability to calculate and consider long-term consequences by igniting immediate responses to everything our eyes see and our ears hear. We misjudge situations because we lack the ability to perceive both the short-term effects and the long-term outcome. We react to the moment. And while we are in the throes of a reaction, the Opponent goes into his arsenal and pulls out yet another weapon. Time is an illusion (a grand illusion that is). It’s a phantasm created, in part, by the five senses. “Yesterday”, “today” and “tomorrow” are actually enfolded into one unified whole. This is an engaging intellectual concept. But for some unknown reason, we cannot revisit the memorable moments of yesterday, we still fail to foresee the events of tomorrow, and a lot of us can barely cope with the present. That makes for one impressive illusion. The fact of the matter is, physicists have absolutely no idea what time really is or why it bothers to exist. Go ahead and ask them. The greatest minds of science will admit that they haven’t yet figured out time, What they do know is that time is like an elastic band that can be stretched or contracted. But why time is part of our reality – for that they have no clear-cut answer. Well, you’re now going to discover what the greatest minds of science could not: the true definition and purpose of time according to Zohar: the Wisdom Text of Hebrews. Time is the distance between cause and effect. Time is the separation between action and reaction. Time is the space between activity and repercussion, and the divide between crime and consequence. Without time, we would be instantly penalized the moment we reacted. Likewise, an immediate reward would appear with each positive deed and transformation of character. Within this gap between cause and effect, we hope to become enlightened to the senselessness of our negative reactive ways and to recognize the rewards associated with spiritual growth and positive, unselfish, proactive behavior. Our unique mission in the world is to elevate to a higher spiritual level. Thus, we are imbued with the divine-like feature of “free will” when it comes to changing our ways and ascending the spiritual ladder. Free will only occurs if the concept of time is injected into our existence. There’s a downside to all this: Because of time’s existence, we mistakenly believe that goodness goes unrewarded while wickedness goes unpunished. But it’s merely a delay tactic. Delayed response permit freedom of choice between good and evil behavior. Keep in mind, evil behavior encompasses much more than just murder. A few unkind words to your neighbor, spouse, or friend sets the cause-and-effect principle into motion, as well. In fact, assassinating a person’s character is often as destructive as committing a physical homicide, according to Kabbalah. One destroys the body, but the other damages the soul. We can kill someone physically, or we may also kill someone emotionally and spiritually. We can destroy someone’s relationship or we may also ruin their livelihood. The sin of “spilling blood” is not limited to physical violence. Spilled blood also refers to the shame or embarrassment we cause people by forcing blood to rush to their faces out of humiliation when we demean them in front of others. All of these unkind actions launch a cause-and-effect chain reaction. A person reacts and commits a misdeed. According to the law of cause and effect, these should be an immediate negative payback. However, a chunk of time is now tosses into the cause-and-effect process by our Opponent so that the negative feedback is delayed. The person now believes he or she got away with the hurtful action. The distance between cause and effect prevents us from perceiving the connections between the events of our lives. We might have planted a negative seed 30 years go, but by the time it sprouts, we have forgotten about the seed. Eventually, a tree (chaos) “suddenly” appeared out of nowhere. Yet nothing happens by chance. Everything can be traced to some seed planted in our past. Time just makes us forget the original causative action. Chaos appears sudden because time has separate cause from effect. Time creates the illusion of chaos when, in fact, there is a concealed order.